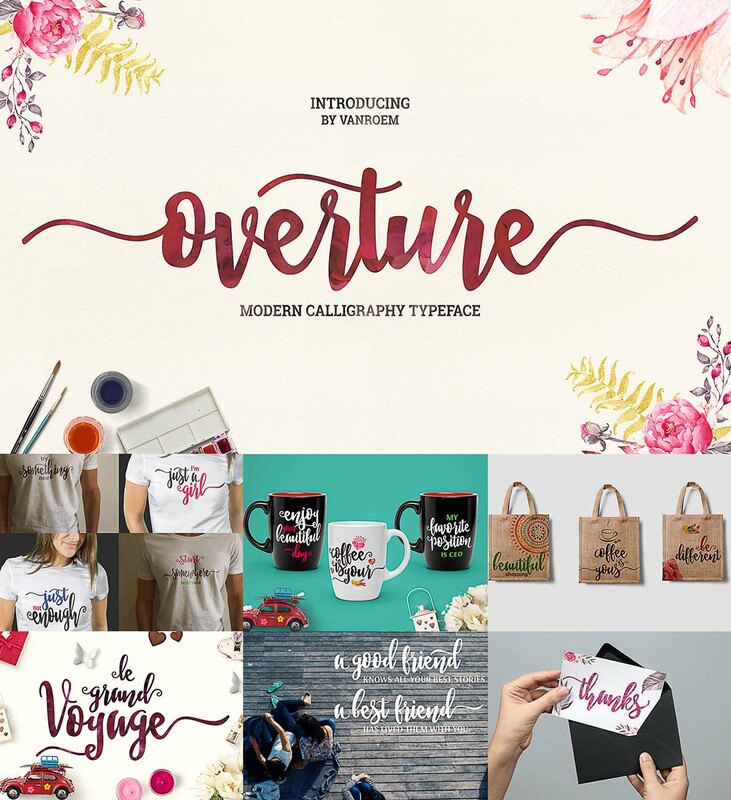 Introducing Overture script font that combined brush lettering with traditional hand writing. Perfect for wedding invitation, vintage design, greeting card, poster, book cover, illustration, etc. Tags: brush font, calligraphy, cursive, script, wedding font.